When I was a kid, I used to collect crazy socks. I had dozens of them: toe socks that slip on like a pair of gloves, socks with polkadots, socks with monkeys, socks from different cities around the world. It’s the little things, right? Knowing you have a pair of giraffes under your boots has to brighten your cold winter day just a little bit when you’re sitting through a 4pm meeting. So it brought back memories when Gil from ChattyFeet shared their designs with me. They have 19 different ones, all with fun faces, each one in men’s, women’s and children’s sizes. As I write this, I’m wearing Kate Middletoe socks. Priceless. They’ve invited Little Observationist readers to join in on the Valentine’s Day giveaway. 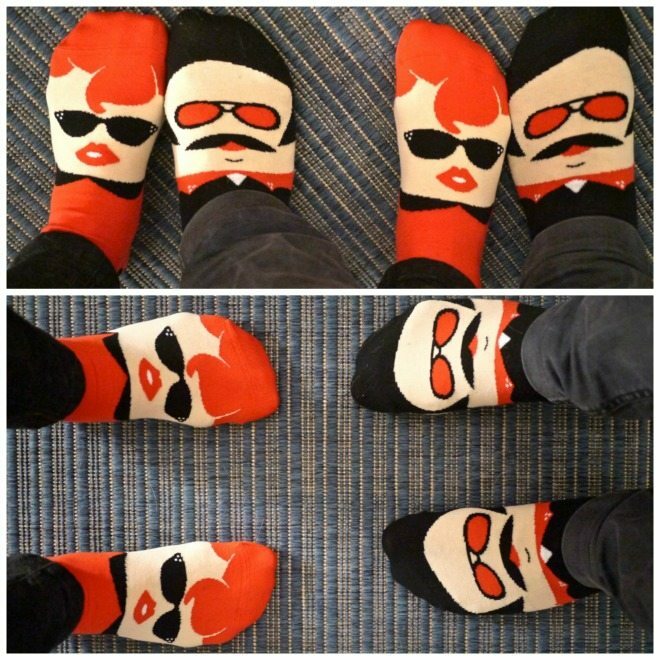 There are 10 sets of socks for couples up for grabs including five of the Danny and Sandy sock sets and five of the Commander Awesome and Venus sock sets. 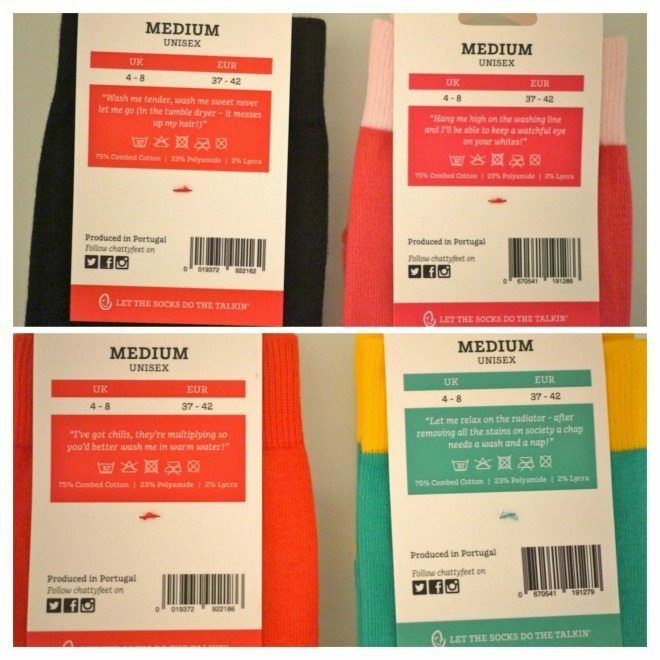 I love that they are so injected with personality, from the quirky characters (on the bottom and top of each sock) to the tags on the back with instructions that match their personalities. If you’re looking for a light-hearted, fun and unusual gift idea for Valentine’s Day, these tick all the boxes! The competition is open now and runs through February 7. 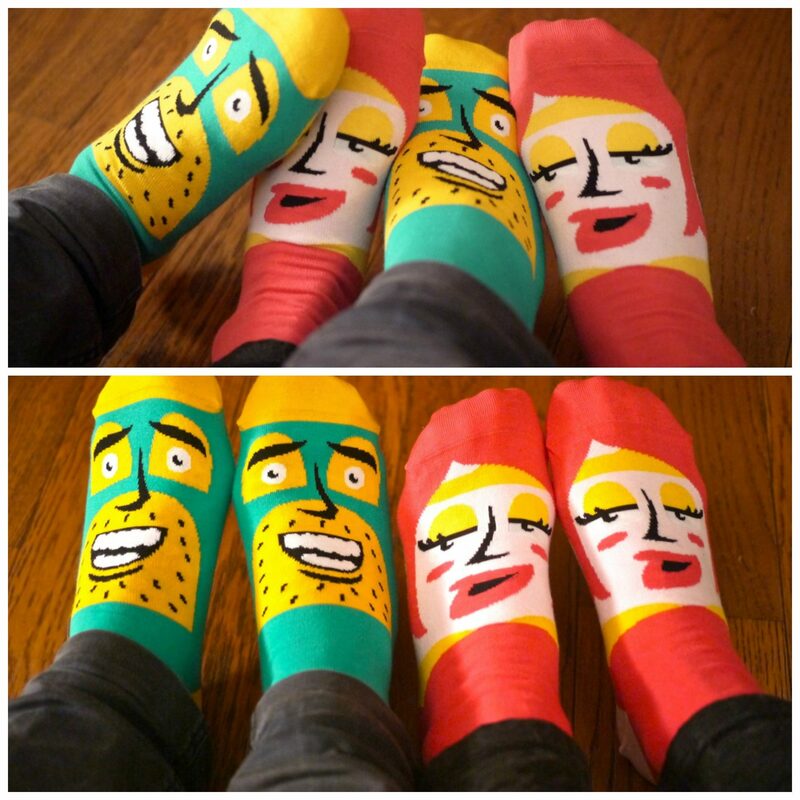 Winners will be selected on February 8 and contacted directly by ChattyFeet. 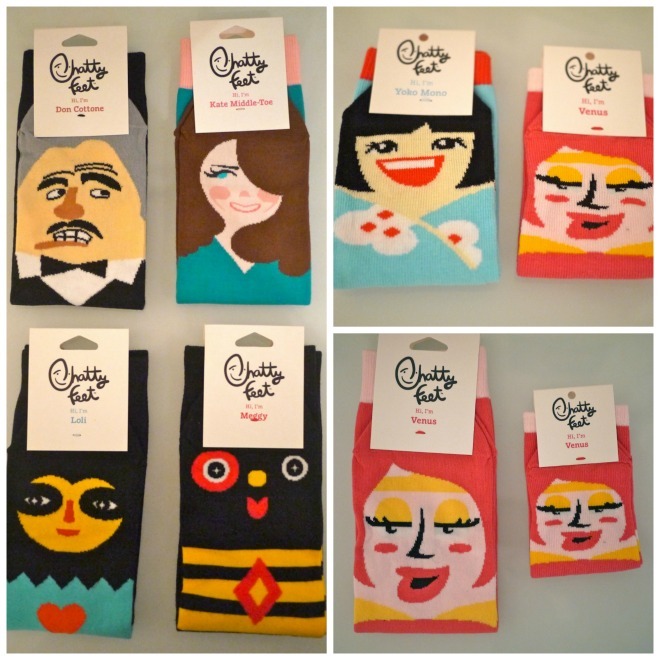 This post was written in collaboration with ChattyFeet. 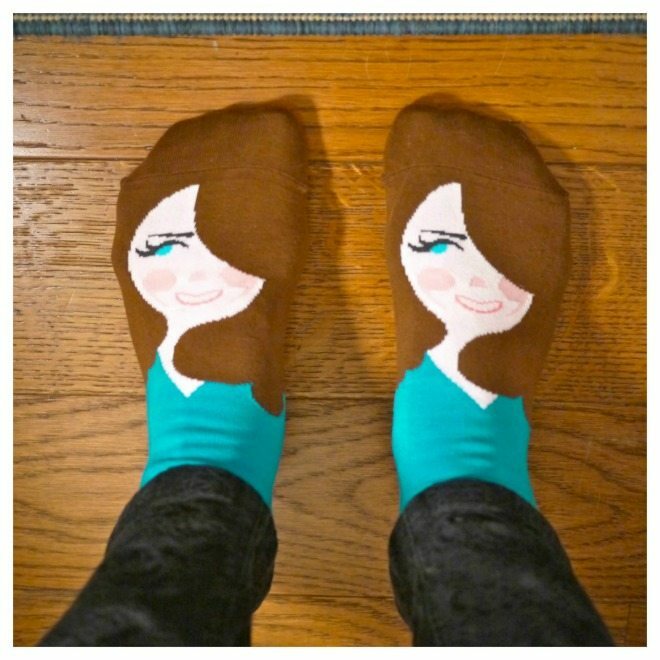 The Kate Middleton ones are hilarious! Yes, those are my favourites! These are pretty adorable! I have a weak spot for Grease, so I love the Danny and Sandy ones! Kate Midlleton i reaaly gret idea…also Sandy. Very cute project!